In addition to dedicated individual laboratories for research-active staff, the school of Psychology houses a number of state of the art open-access research facilities and services. Bangor staff and post-graduate student researchers may access these facilities by participating in the appropriate methodological research groups. Facilities are fully staffed and supported by grant-funded research assistants and research officers, as well as School-funded posts. Staff and students interested in scanning participate in a weekly talk series is linked to issues and research pertaining to brain imaging. Information about joining the Bangor Imaging Group (BIG) meetings can be found here. A description of current projects, people, and publications for the Bangor Imaging Unit can be found by clicking here. Expertise in electrophysiological methods (EEG/ERP) is a particular strength in the School of Psychology. In addition to five independent EEG labs associated with specific staff, the School offers an open-access electrophysiology lab. The Psychology Open-Access Electrophysiology and Topographic (POET) lab provides access to EEG / ERP research facilities for all School research staff, and supports students and researchers through regular training events. The lab consists of a fully shielded sound-attenuated testing booth,128 channel BioSemi EEG system, and all equipment necessary for auditory and visual EEG/ERP experiments. The POET lab also includes a computer lab available for data analysis. A variety of stimulus presentation and data analysis software packages are available to accommodate individual user needs and preferences. Training is available for new users. A regular seminar series linked to methodological issues is available for all staff and students interested in EEG and ERP research. Contact Dr. Stephan Boehm to join the Brainwave research seminar. For more information regarding the POET lab please email us or visit our website. Electrophysiology and brain imaging techniques are useful to measure the activity of the brain when it is engaged in a task. However to directly test whether a specific brain area is necessary to perform a task, or to explore how a brain area processes information, non-invasive brain stimulation methods can be used. The Brain Stimulation Lab within the School of Psychology is equipped with two different types of stimulation equipment, transcranial magnetic stimulation (TMS) and transcranial direct current stimulation (tDCS). The first, TMS, tDCS is known to change the activity in brain cells by raising or lowering their likelihood of firing given an amount of input. For mor information about the Brain Stimulation Lab click here. Eye-tracking equipment and training on these systems is available for booking. Please contact Mark Roberts in the POET lab for additional information. 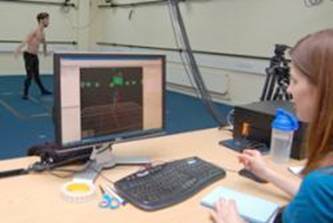 Several members of staff in the School of Psychology have collaborated with the Motion Analysis Laboratory in the School of Sport Health and Exercise Sciences. Movements are analysed with a Movements will be recorded using a VICON motion capture system (8 cameras, 41 reflecting markers). For example, Prof. Emily Cross examined how a dancer’s brain is different from non-dancers. Prof. Robert Ward investigated how body motion information is perceived by observers, and to what extent this information is reliable or deceptive. 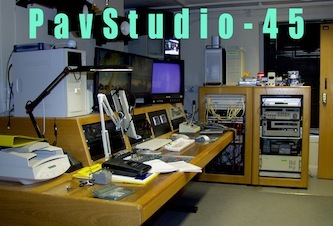 The Motion Analysis lab (Padarn Room 007.2 ) is managed by Shaun McKiernan. Bookings for use of any equipment or labs must be made with Shaun (Sport Health and Exercise Sciences). Several participant panels are available to help researchers in the School of Psychology recruit participants from special populations. The participant panels are supported by grants and school funds. A charge may be applied for using these services. Participant information is kept confidential according to the data protection act and BPS ethical guidelines. Contact information is only available for potential participants who agreed to be contacted by researchers in the School. Access to participant information is also subject to approval by specific research groups (e.g. the Neurology Group), and the Psychology Research Ethics Committee. If you are staff or a post-graduate researcher within the school and would like to use these services please contact Becca Henderson in the first instance. Due to demand, we are unable to offer these services to researchers outside the School of Psychology. Research technical hardware and programming support is available for research labs including hardware/software interfaces, bespoke experiments, data analysis routines, etc. Programming expertise is available in Matlab, C+, web-based scripting/html, JAVA, Presentation, E-Prime, etc. For information on these services please contact David McKieran. For information on how to include technical support in your grant application contact Sandra Begley. Researchers studying child development benefit from a close relationship with Bangor’s Tír na nÓg Nursery. The nursery provides a unique resource for researchers in the School of Psychology in the Clinical, Health, and Behavioural Psychology and Language, Bilingualism, and Cognitive Development Research groups. Tír na nÓg is equipped with special facilities, such as an observation lounge and video cameras. Subject to the consent of the children’s parents or guardians, observations can be made to further understanding of language, learning, and development. For more information on research at Tír na nÓg Nursery click here. In 1999 DSDC Wales was established as a unique partnership between Bangor University and the long-established NHS Service Development Team (EMI) in Cardiff. Although Wales is a nation with a relatively small population, a joint approach was felt necessary in view of the mountains, which divide north and south very effectively, making it difficult for a single centre to serve the whole country efficiently. The bilingual community, cultural heritage and the balance of urban and rural areas in Wales together with the need for good communication between North and South provide specific challenges for the development of a DSDC which are unique in the UK context. DSDC Wales is part of a network of Centres, most established in recent years with the encouragement of the Department of Health, covering most of England, as well as Scotland, Wales and Ireland. For more information click here.